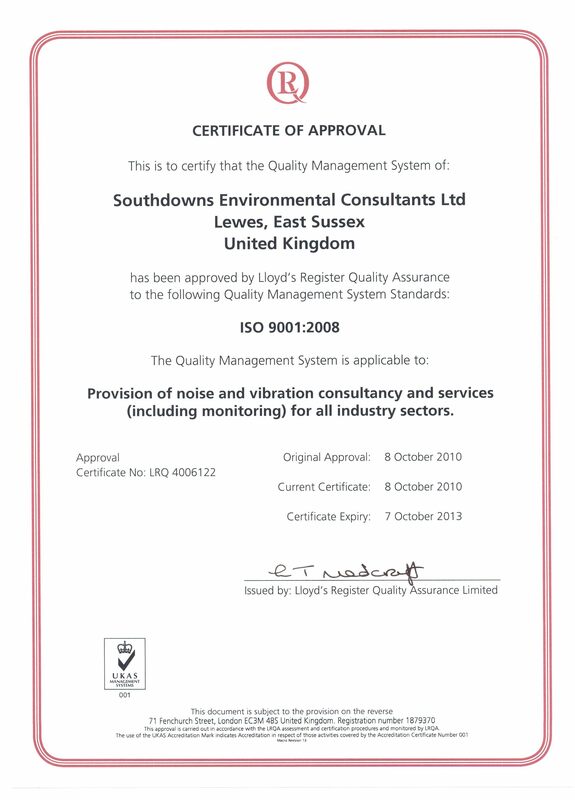 The certification by UKAS accredited assessors Lloyds Register Quality Assurance, is for all services including noise and vibration monitoring. "This is a fantastic achievement for Southdowns. 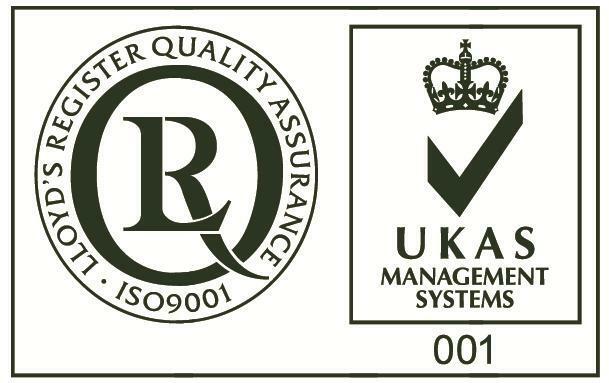 We are now one of the few independent acoustic consultancies in the UK to operate a quality management system, which has been certified to BS EN ISO 9001:2008 by a UKAS accredited organisation. Prospective and existing clients can be assured therefore of Southdowns demonstrable commitment to achieving customer and regulatory requirements and to enhancing customer satisfaction through its on-going commitment to continuous improvement in all aspects of its work"